The Red Line. . HD Wallpaper and background images in the 值得一读的书 club tagged: romance books war love middle east history. This 值得一读的书 photo might contain 动漫, 漫画书, 漫画, 卡通, 漫画卡通, 肖像, 爆头, 特写镜头, 特写, and 爆头特写. 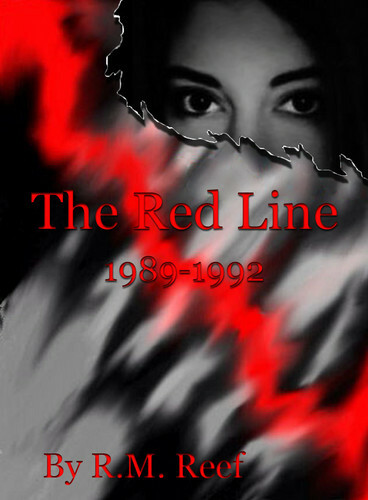 For sixteen years the red line sliced through the heart of Nora's city. The young doctor had grown up knowing that the virtual line cut Beirut into a Christian east side and a Muslim west side. She took it for granted that no one on either side in this civil war could cross the red line, the boundary of tradition, morality, and even identity. Then the Muslim patient appeared in the psychiatric ward who would convince her to do the unthinkable. Nora's passion for this man would draw her into enemy territory where she would have to weave words around her friends, relatives, and even a powerful and dangerous family, but one misstep and she would be caught in her own web. Nora is the grown-up child of war, and her story—which is based on a real one—is the story of Beirut itself, a city divided, a city driven to self-destruction in a frenzy of passion, a city that got addicted to the bitter taste war left on its tongue.